Every so often I read a book that is so good I have trouble writing a review about it. Will I do the book justice? Can I convince you in just a couple short paragraphs that this book should be moved to the top of your “to read” pile? Eleanor and Park by Rainbow Rowell is one of those books. I hope my words will be enough to persuade you. Sixteen year old Eleanor has just moved back home after spending a year living with an acquaintance of her mother. She was kicked out of her childhood home by her abusive, alcoholic stepfather and he has finally allowed her to live with them again. While she was away, her family moved into her stepfather’s house and she now has to share a room with her four siblings. On her first day at her new school, Eleanor’s appearance begs for her to picked on. Her clothes are too big and have holes in them. Her hair is curly and extremely red. She almost instantly receives the nickname “Big Red” due to her red hair and the fact that she is a “big girl.” When she gets on the bus no one wants her to sit with them. No one except Park. Park is a half-Asian boy who wears eyeliner, listens to punk rock, and reads comics on the bus. He initially allows Eleanor to sit with him because he feels sorry for her. For their first few weeks as seatmates they do not speak to one another and are sure to maintain six inches between them. Then Park discovers that Eleanor is reading his comics over his shoulder. He begins bringing comic books for her to borrow. They finally begin talking to one another, discovering they share a love for music as well as comics. Park soon finds that he is drawn to Eleanor and that her weirdness makes him like her all the more. Eleanor can’t figure out why Park likes her. All she knows is that he makes her feel safe and she can’t wait to see him each morning. 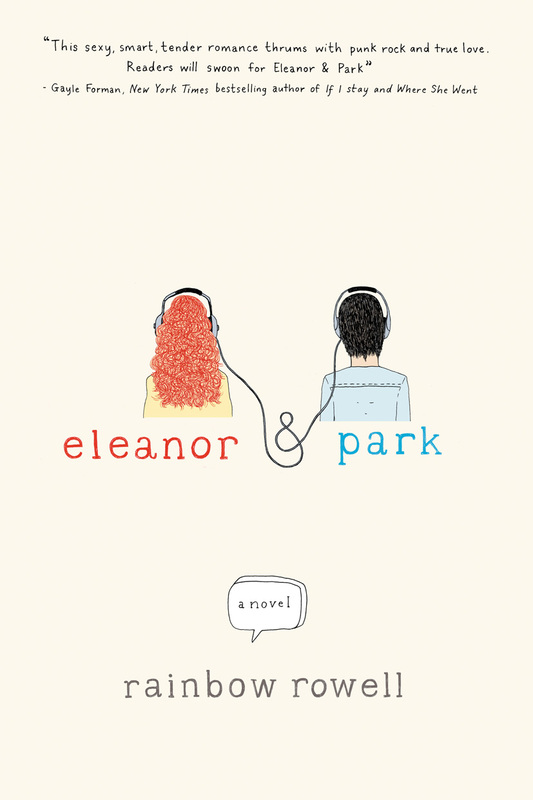 Eleanor and Park is one of those books that keeps you thinking about the characters and their experiences long after the final pages. This coming of age story is about first loves and all the obstacles we have to overcome to find ourselves. As I read, I couldn’t help but think about how the story reminded me of John Green’s books. They convey a similar message: The world is not always pretty, but hopefully some happiness can be found along the way. And don’t let the young adult label stop you from reading this one. This story has no age limit.